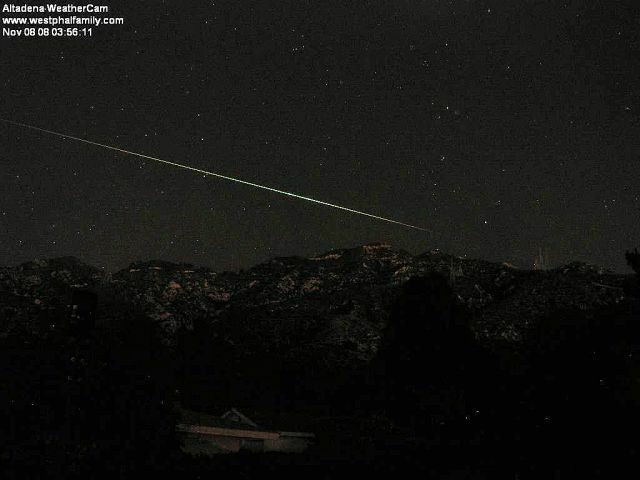 Taurid Meteor shower. The Taurids are linked to debris from comet 2P/Enke, and roughly every 3 years there is an outburst as Earths orbit intersects the debris cloud. They appear to eminate from the Constellation Tauris. They can be very bright.